While this is slightly off topic, I wanted to share some of my experiences with the Swift Basic theme and do a quick review. I’ve used this on multiple sites, and can hopefully share a little on my experiences with the theme. If you’re a new blogger, and happen to be cheap like me, you probably don’t want to invest a lot of your hard earned money on a premium WordPress theme. At least not yet. This may be a must have for the more experienced blogger, but if you are just starting off with blogging, save yourself some coin and take a look at the thousands of free theme’s that are available to you. The Swift Basic Theme is based upon the premium Swift Theme from the same developer. You get a lot of the same functionality and best of all it’s free. There are two versions of the Swift theme available, one is considered a premium theme (you pay for it), and the other is a free theme (Swift Basic). This Swift Basic Theme review is based upon the free version that’s available. First off, the theme is chocked full of features, more than most free theme’s make available. Some of the options that the theme makes available are: featured post images, a featured post slider, layout for advertising, custom menus, custom widgets and more. You have more than enough features available to customize your blog. The Swift Theme’s are known for their performance benefits, and the Swift Basic Theme doesn’t disappoint. You’ll have a hard time finding a free theme that loads faster. Why is this a good thing? Well one, your readers will be happy and they won’t be clicking away from your site because your blog is taking forever to load. Two, a fast loading theme is good for SEO. As I mentioned above, the theme is full of options to help you customize your blog. You want to change the width that’s displayed, you have the freedom to do that. Fluid or fixed, you can do that to. Bordered or solid layout, yep. Sidebar position, either on the left or right. Perhaps you want a magazine style layout? All of this can be done right from the layout options menu. Maybe you want to get a little fancy, you can add a featured post slider to your blog and have it scroll through the featured images for any number of posts you define. 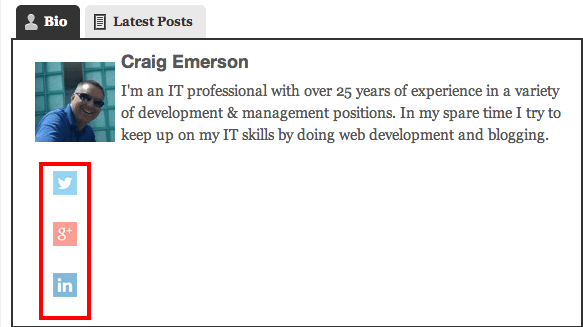 You can show your recent posts or focus on the posts you’ve defined within a certain category within your slider. Neat little feature for a free theme. You can also define your own color schemes, down to each element on your blog, or choose one of four standard color options that are already available. There are so many options to customize the design and layout of your blog, you probably won’t use the majority of them. I’m really only scratching the surface on the key features. As I stated above, there are so many options, you’ll barely scratch the surface of what’s available. If you are looking to monetize your blog, the Swift Basic Theme has everything you need. You simply add your Google Adsense code to some predefined text boxes, enable where you want the advert to display, and you’re done. What’s really helpful is the theme gives you a number of options for displaying your ads. Swift Basic Theme Ad Mgt. So do I have anything bad to say about this theme? Of course I do, it’s a review right. It seems there was some non-standard development done when creating the Swift Basic Theme, which leads to some compatibility issues with certain plugin’s. If you are using the Yoast SEO Plugin, you’ll have an issue if you are trying to take advantage of the XML sitemap feature. This is a nice option that automatically generates a sitemap for you every time you create a new post. While it appears it’s working fine, if you try to view the sitemap on your server, you’ll get a number of php warning messages. That’s enough to freak out any new blogger that doesn’t have a technical background. I also had an issue with the Fancier Author Box plugin. Now this is a pretty popular plugin that a ton of blogs use to identify author information for their posts. It has a nice little row of social media follow icons that should be arranged horizontally in a nice compact space. When using the Swift Basic Theme I couldn’t get past an issue with my icons being displayed vertically with a large amount of white space between each icon. I’m sure it could be fixed with some custom CSS, but the point is, I shouldn’t have to do that. Installing the theme was relatively easy, the main issue was tweaking it to get rid of some unwanted items being displayed in the sidebar. After my initial installation, I noticed there was an ad displayed for the Swift Theme as well as a calendar located in my sidebar. No problem I thought, I’ll just head over to the Widget section in WordPress and remove both of those items. The problem was, there was no widget for either of these things. After a quick Google search, I discovered I had to add a Text Widget to the footer of my blog with a blank space to remove these items from my sidebar. Not very intuitive, and something that would probably turn off a number of people if they were just staring off with WordPress. So, is this something you should utilize for your blog? I would say yes if you’re not quite ready to invest in a premium theme. While there are some minor nuances, it really doesn’t take away from the functionality that exists. Give it a shot, if you don’t like it, you can always try something different. You can download the Swift Basic Theme directly from the WordPress.org site or find additional information at the Swift developers site. Errors with the site map aren’t related to the theme. 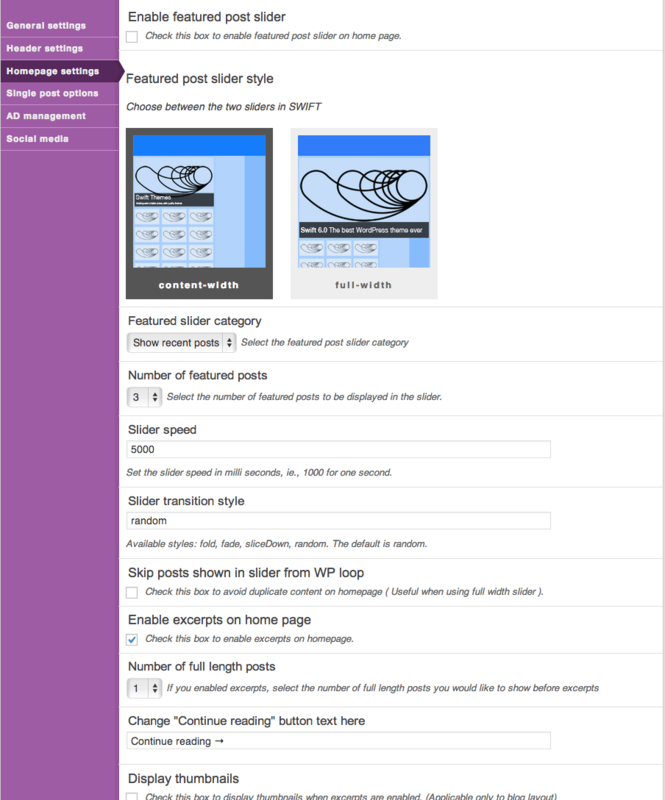 I will check the problem with Fancier Author Box plugin. Default widgets in sidebar is a bad design decision, we are getting rid of them. Did you try Swift v7? There is a 45 day free trial. Thanks for stopping by Satish. I can email you on how to create the XML sitemap error if you would like, it’s pointing at one of your functions. Overall I like the performance of your theme, and I’m sure these issues are not part of your premium theme. Still evaluating my options before I upgrade. Link is in the post. Thanks for this theme reviews i was searching good theme for wordpress blog now i want this theme for my blog please tell me about latest version of this theme. Hey Manish – It was good when I used it, but haven’t done anything with this theme in years. A quick check shows the Swift Basic Theme as well as the Swift Theme haven’t been updated in years. Assuming they are not supported any longer. May want to pass on these.